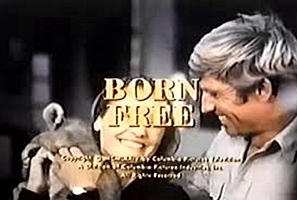 This series was based on the successful 1966 movie, Born Free. It follows the basic plot line of the movie. 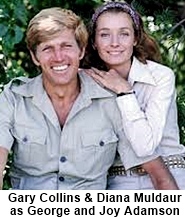 George Adamson (Gary Collins) and his wife Joy Adamson (Diana Muldaur) are game wardens on a preserve in Kenya. They have an adopted lioness named Elsa and several other furry friends to keep them company. Their job of protecting the wildlife in a huge area in Africa pits them against poachers, predators and natural disasters. The show tried to always enlighten the viewer with a bit of animal conservation education. It was scheduled opposite Gunsmoke on another network and never got the chance to find its audience. Due to its low ratings it was canceled after only half of a season. Do you recognize Diana Muldaur but just can’t seem to place her? Try Dr. Katherine Pulaski on Star Trek – The Next Generation. Not a Trekkie, then try the lawyer Rosalind Shays on L.A. Law if you want to dig a little further back then maybe you’ll remember Jeannie Orloff on Dr. Kildare.